The driver was detected doing 103km in a 50km speed zone. A TRUCK driver has been charged after driving 103km/hr in a 50km/hr zone in Eastern Creek in New South Wales. 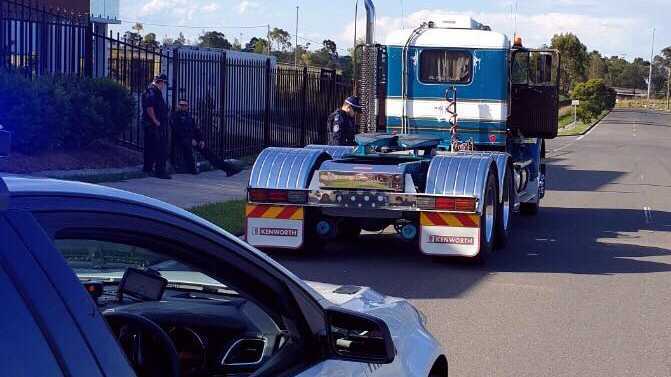 Police were conducting speed enforcement on heavy vehicles on Friday, November 30 along Peter Brock Drive when a 1970's Kenworth prime mover with no trailer was detected to be travelling twice the speed limit. When stopped by police, the driver's National Driver Work Diary was inspected, and numerous issues were uncovered. The driver was charged with Class C vehicle excess speed limit by more than 45km (a fine of $3691 and a six month on-the-spot licence suspension) and three counts of not starting work diary after starting work at $661 each. The vehicle's registration was not cancelled as the driver was not the owner.